There are probably few things you have in your home that you have more of than drain lines. It’s a good thing too because of all the water you use in your home each day. This used and often unsanitary water has to be safely taken away from your home and that is the role of household drains so they must be kept working. With all the use that drains get it is surprising that most people neglect to do the routine drain services that they need. Here is a list of drain services that you or a professional plumber should be doing to your household drains at least once a year. Any type of semi-annual or annual drain services must include a visual inspection of the openings to any household drains. Drains tend to get clogged easy when large chunks of debris get into them so it is important to make sure all your household drains have screens or grates on them that are tightly attached. Any that don’t should be repaired immediately to prevent them from getting clogged up easy. This would include such things as pouring extremely hot water into your drain openings at least once or twice a year (you don’t want to use boiling water because it may loosen the glue on some pipe fittings). This is especially important for kitchen drains where grease tends to build up no matter how careful you are. Periodic drain cleaning is another one of those important drain services that needs to be done; especially if you see any of your drains start to work slowly. A simple, non-toxic mixture of baking soda and vinegar left working in a drain overnight will go a long toward freeing slow or clogged drain lines. Every once in a while it is not a bad idea to run a drain snake or power drain auger through your drain lines just to make sure there are no solid clogs starting to form in them. This is especially true for sewer and septic drain lines which have so much organic matter going into them it tends to do such things as fuel weed and other plant growth that will eventually clog them. Clog prevention will go a long way toward keeping your essential household drains functioning too. This is doing things like making sure when you are preparing food in the sink the drain screens are in place while doing so, making sure nothing goes into your toilet but sanitary paper made for use in it and periodically cleaning such things as hair out of bathroom drain screens because it will eventually work its way through them and help form a clog. The importance of these typical drain services should not be underestimated. A clogged drain in the wrong place can prevent you from preparing food in the kitchen, prevent you from doing laundry and even keep you from being able to relieve yourself of bodily waste; needless to say drains provide a pretty important role around the house. 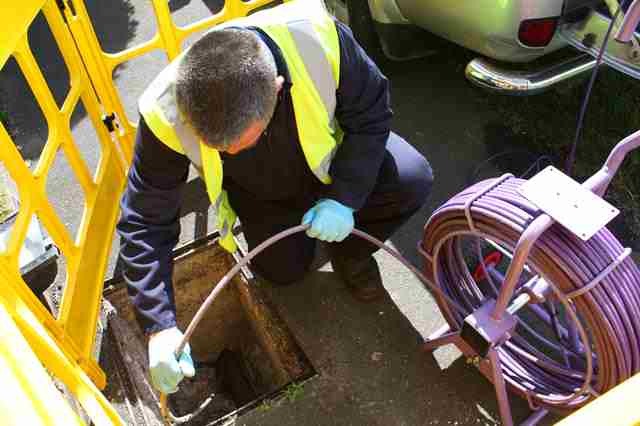 So get the drain services mentioned here done quickly when it is their time to be done.